Console Table in Devon Ash with Pear, Sycamore and Yew drawer pulls. 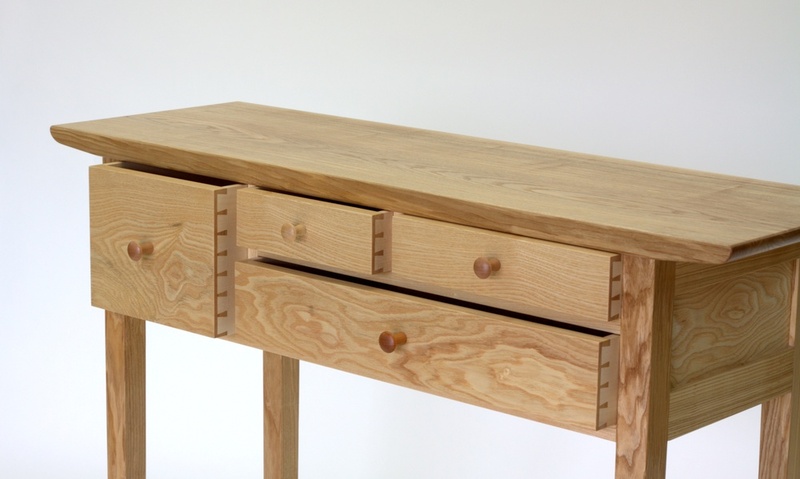 This piece was made to showcase English Timbers. It was shown and sold at Celebration of Craftsmanship and Design 2011. Designed with the hallway in mind, with different sized drawers for hats and gloves, keys and coins etc, items of post etc..
© 2014 John Luff. All rights reserved.